Our Blacktak N90 aluminium-tape is made of a flexible and pliable aluminium foil which has a mat black surface on both sides. 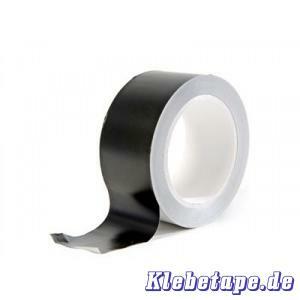 Blacktak N90 ist coated with a high heat resistent acrylic adhesive. It is heat resistant up to 200°C. The tape is versatilt, easy to use and it can be repositioned. Blacktak N90 is specially used in stage adaption for masking flare, creating shadows and for killing light spill on projectors and floodlights etc.